Hope you have had a great week! I took a one day trip to Disney, and today I am getting everything ready for our Buddy Walk on Saturday! For my first Friday post of Down syndrome awareness month, I want to share some amazing goodies the give back to supporting adults with Down syndrome! The next collection I want to share with you, is the Littlest Warrior and May Designs collaboration. All the proceeds go to Ruby’s Rainbow- and this collection is amazing! Today, you can get many of the products for almost half price! I can’t wait to get my order! The pink “Advocate Like A Mother” tumbler and the Peace, Love and Inclusion notebooks will be put to good use around here. I am even more excited that the proceeds will be going toward scholarships for secondary education from Ruby’s Rainbow! Another purchase that gives $5 from each sale to Ruby’s Rainbow, are the amazing socks that Ruby designed with Pride Socks. These have become all of the Noel’s favorite socks, and not just because our sweet friend Ruby designed them. They are so happy and cheerful and I just love wearing them! I think I have worn these every day since I got them! Thanks pride socks for making the best socks! The last purchase that you should totally make is one of the amazing bow ties or hair bows from my friend Will! 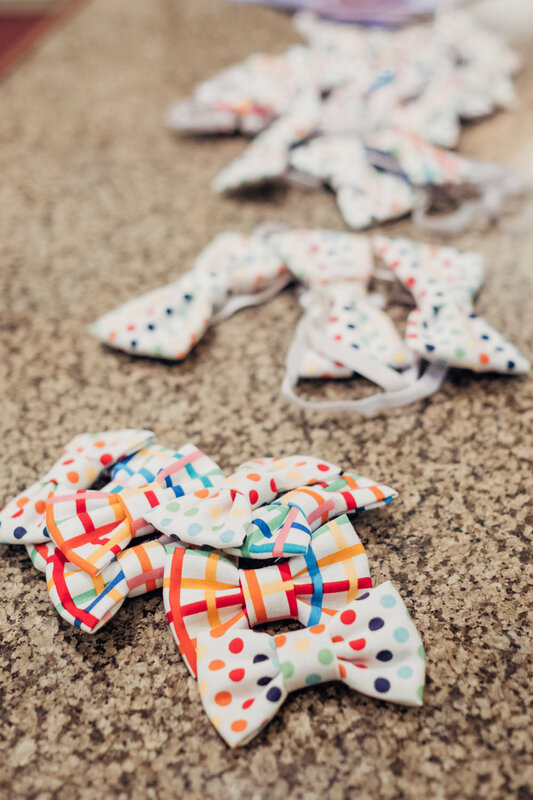 Amber, the other co-founder of the Dream Retreat and Will’s stepmom, gave all of the kids at the Dream Retreat a bow tie or hair bow, and they are darling! Will is selling the bow ties and hair bows to raise money for his buddy walk team. There are some great holiday colored ones as well! Perfect for family photos or stocking stuffers!